Greetings, and welcome to my last Stash post of the year. I know there’s another week, but I’ll be traveling then, so this is it. 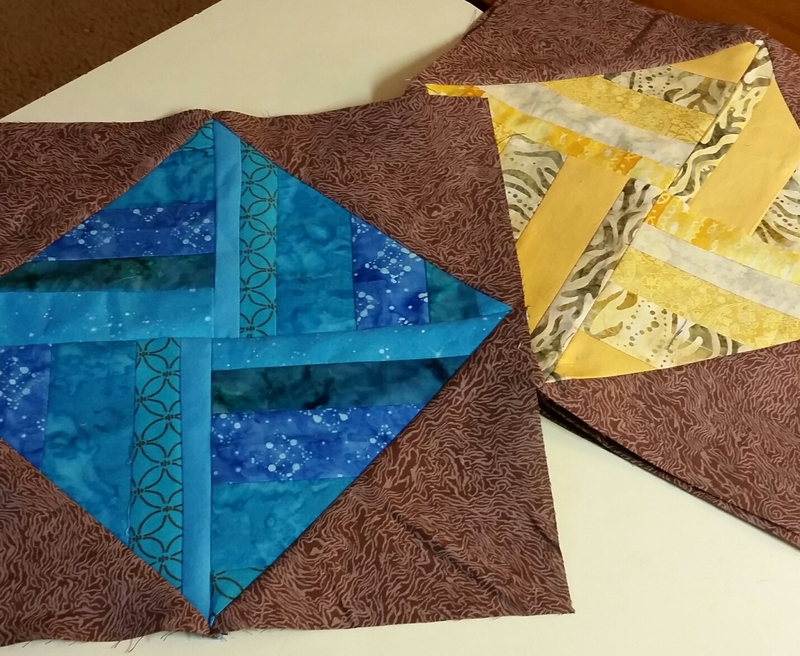 My final sewing of the year was this set of six string blocks for Kat’s December block drive. They conveniently used one yard. I didn’t come up with them just to make my destashing goal; I put them on my December Goals almost a month ago. But I did make my Goal of Destashing Fifty Yards in 2015!! Net fabric destashed in 2015: 50.50 yards! At one point I thought I would go sailing by this number, but it just didn’t happen. I’m happy being fifty yards in the black. I hope you’ve done what you want with your Stash this year, and with your sewing, and everything else. I’ll be lurking around through magic of WiFi, and look forward to seeing your posts. Enjoy your holidays! You’ve earned them!